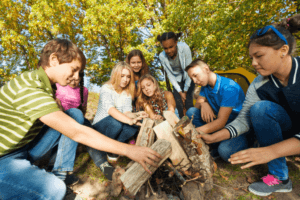 Wilderness Survival Course – Trail Blazer Survival School, Inc. Survival Skills that Empowers You to Make the Outdoors Your Playground. 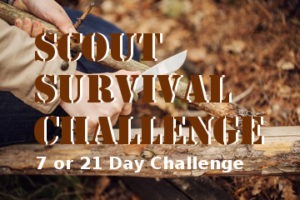 The 3 or 7 day Scout Survival Challenge let you put yourself to the ultimate test. In this course, you will start out with a small kit containing a knife, saw, bandanna, water bottle, 100' of paracord, emergency blanket, small plastic tarp and the clothes on your back. You and two of your buddies along with your guide using only what you have in your kit, build a shelter, make a fire, procure water, and attempt to procure food. If you choose to take this challenge you could be sleeping in the cold and going hungry. This is our most difficult course and is "Only Available to Those Who Have Completed Both the APPLIED and ADVANCED WILDERNESS SURVIVAL COURSES". There are no refunds for those who decide to tap out early. Contact us to Take this Challenge! The majority of class time is spent outdoors, especially during spring, summer, and fall. We recommend packing as if you were taking a camping trip the length of your course. Please consider the weather and climate in South Carolina as temperatures can range from hot to cold, and conditions can change quickly from dry to wet. We highly encourage students to bring items that will enhance their learning experience but avoid items that might distract you or anyone else from learning. 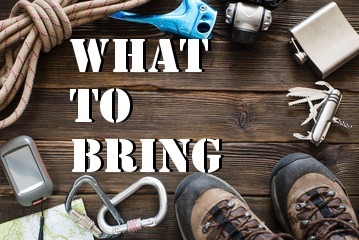 We have compiled a required packing list and an additional general list of items to bring. Click Here for What to Bring?